Nasdaq chief executive Robert Greifeld is getting a smaller bonus this year, a reduction the company says is directly linked to the bungled Facebook IPO. The CEO's bonus for 2012 will be $1.35 million, a 62% drop from the previous year. The Facebook (FB) episode in particular cost Grefield $542,100. Greifeld is paid a base salary of $1 million. His total compensation, including stock, totaled $8.9 million last year, an 18% increase over 2011. Anna Ewing, an executive vice president at Nasdaq, had her bonus docked by $263,625. "The [compensation] committee and board explicitly considered the Facebook IPO in connection with their review and determination of these reduced payouts," Nasdaq said in a regulatory filing. Facebook's 2012 offering was hampered by delays and technical problems, leaving traders under a cloud of confusion about what orders had actually closed and at what price. In July, Nasdaq (NDAQ) said it plans to spend $62 million to compensate trading firms for losses incurred during the botched debut. But the increased size of the fund still falls far below what major trading firms claimed to have lost thanks to Nasdaq's missteps. 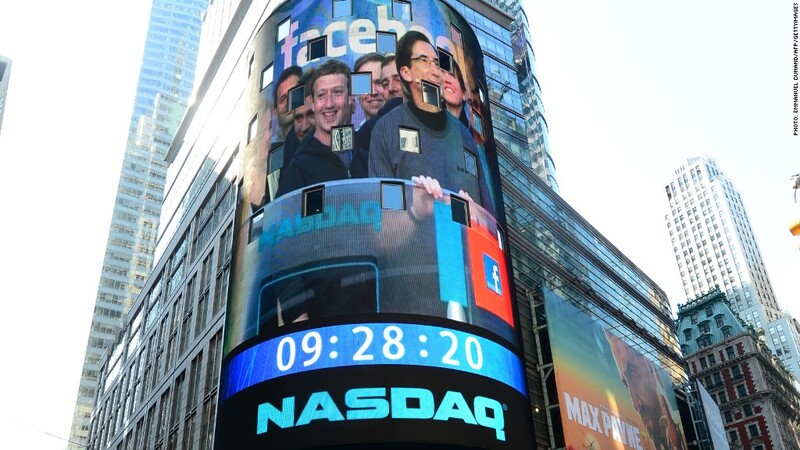 Nasdaq's stock regained all the ground it lost in the wake of Facebook's botched debut. Facebook hasn't been as lucky. Despite a recent rally, Facebook's shares are still down 26% from its IPO price.